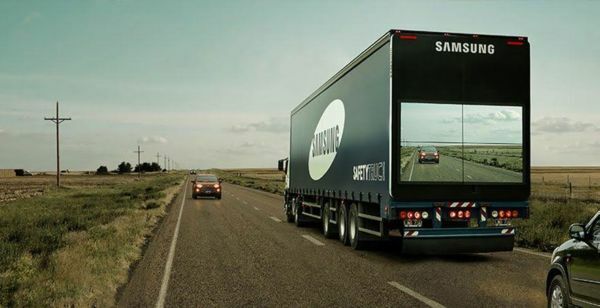 Semi-trailers are dangerous and stressful obstacles when drivers try to pass them, so Samsung has come up with a great way to make things a little bit easier for other drivers; they’ve attached giant TVs to the back so that drivers can see the road ahead before trying to pass. According to Samsung’s video, almost one person dies in a traffic accident every hour in Argentina, so the need for something like their ‘Safety Truck’ is definitely there. The system is simple, though perhaps a bit cost-prohibitive – a small camera on the front broadcasts a live feed of the road to the screens on the back. 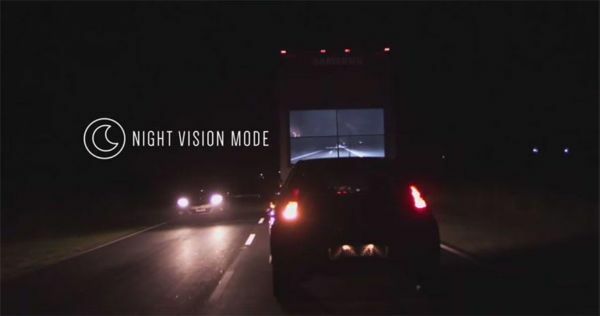 There’s even a night-vision mode for night-time driving. Good achievement to save lives. Numbers of accidents can be avoided by this step, if made compulsory.